November kicks off such a fun season of giving... we were so excited, we jumped into several different projects! This first one is SO easy, hopefully you can't find an excuse not to participate. 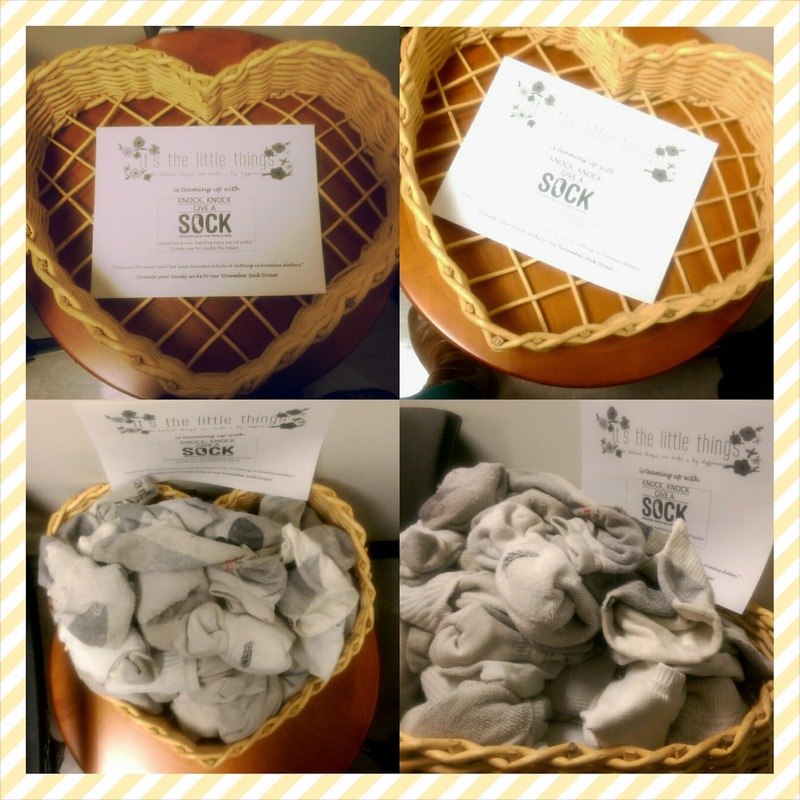 I don't remember how I found out about them, but I fell in love with the idea of Knock Knock Give a Sock, an organization that provides socks to homeless shelters. 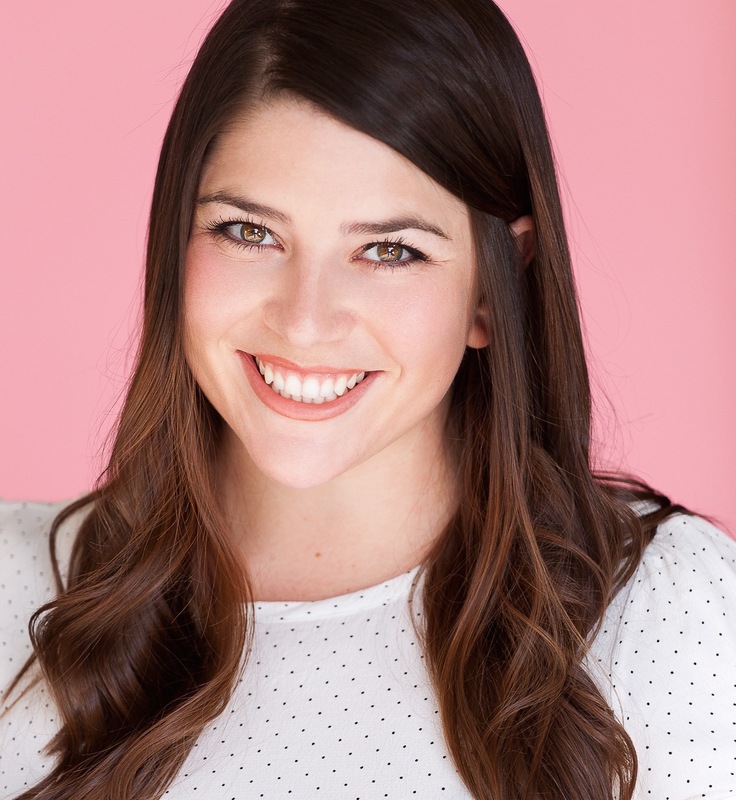 Founded only a few years ago by a young woman studying at NYU, this organization came out of a valuable lesson: listening to the needs of your community. Founder Adina Lichtman was originally handing out sandwiches to people experiencing homelessness in NYC when a man thanked her but said, "one thing we really need is socks, especially as winter approaches." Aptly named, Knock Knock Give a Sock (KKGAS) asks campus representatives to knock on college dorm room doors and collect extra socks from students. It was such a great idea, I had to reach out despite our non-college situation. Adina herself emailed me back almost immediately and enthusiastically shared that they do in fact collect in Chicago, Dallas, AND Los Angeles; essentially, with a zip code and city, Adina can find you a local shelter in need. 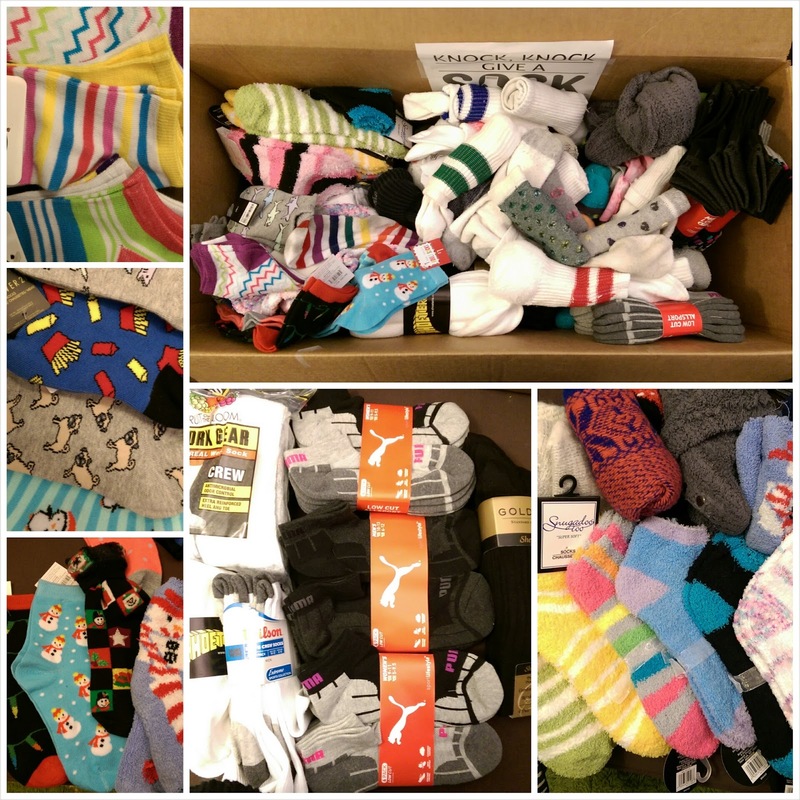 Socks are the most requested but least donated article of clothing at homeless shelters. You can run this drive year round, but especially with chillier months approaching, it's an essential and in demand item. Socks are light weight and small. No bulky cans, huge boxes, or heavy items. Honestly, what's easier? We all have at least one pair of socks that has been tragically separated in the washing machine. 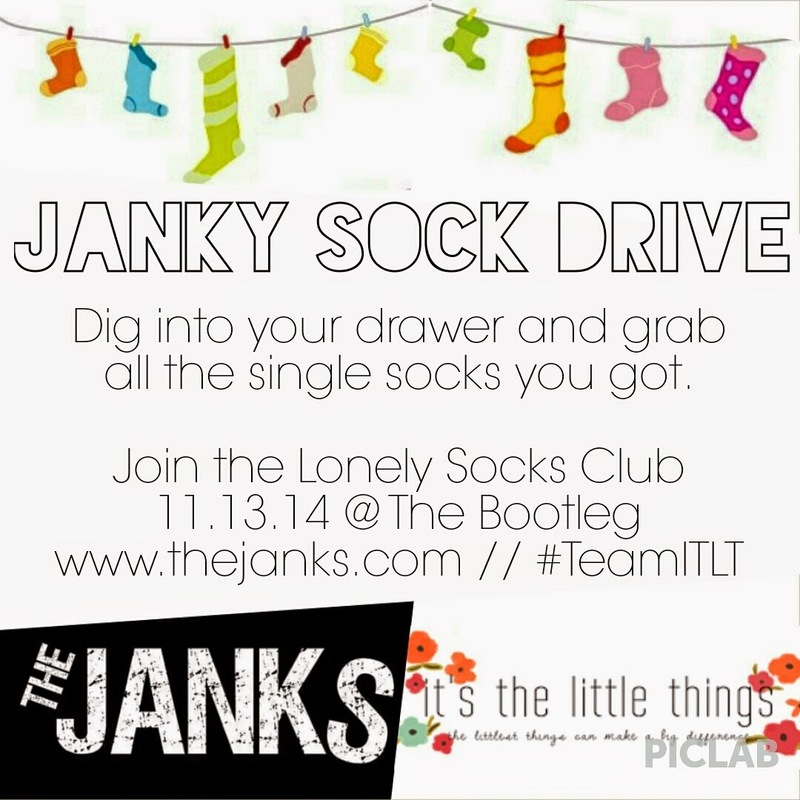 Since you haven't found the other sock yet, you can donate the lonely one to a great cause. KKGAS was founded in the month of November. This makes SO much sense to me. Hopefully, we can be charitable all year round, but there's something about the season leading up the holidays that makes people cozy and generous. For the past several months, our ITLT Co-captain has been focused on recording, mixing, and mastering his band's new EP. The Janks, a loved Los Angeles band, has gained some momentum in the last three years and has developed a friendly and faithful following. 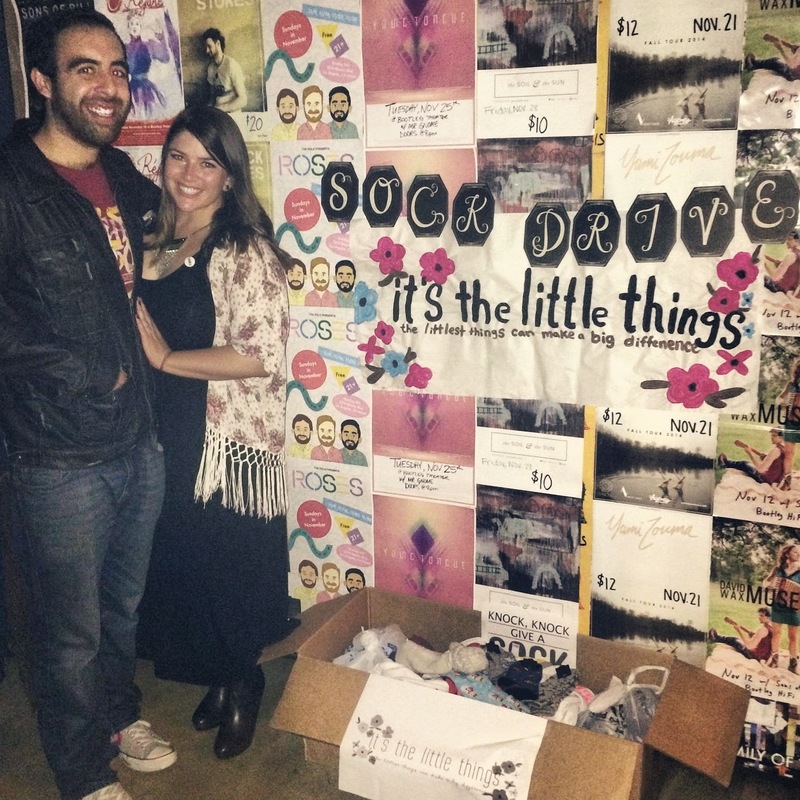 When they began to plan their Living in Denial EP Release Show, I approached them about hosting a KKGAS drive. They are great guys, so they were happy to share the evening. 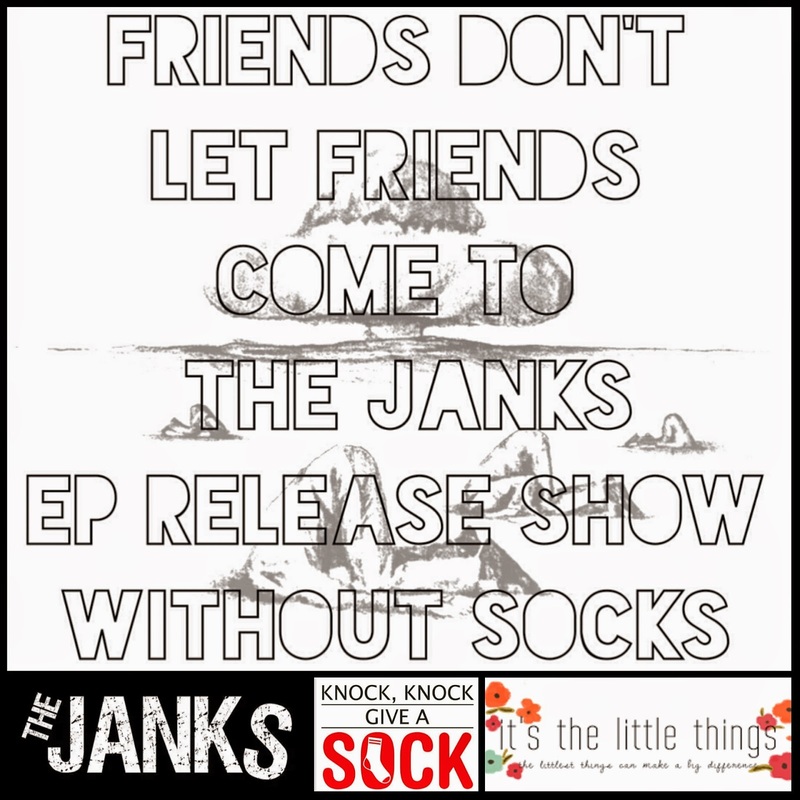 I titled the event the "Lonely Socks Club," created several flyers, got into The Janks newsletter, and blasted social media for a week leading up to the event. The night of the EP Release show, I brought some signage and a giant box... and I was terrified I'd end the night with no more than seven socks. Total. And then - before I knew it - the box was nearly FULL with sock donations. Now, I did have some awesome #TeamITLT friends that contributed, but I was amazed at the amount of people I didn't know (strangers!) that must've seen a flyer or just love the band and simply wanted to donate; I hoped that if we made it easy and convenient, and for a great cause, they would and they did! About half of the socks donated were by people who went hunting in their sock drawer - clean, gently used, and no holes. And, I guess people liked the idea of being involved, because the other half of the socks were completely new, still-in-the-package socks. I was blown away and so touched that it was such a success. 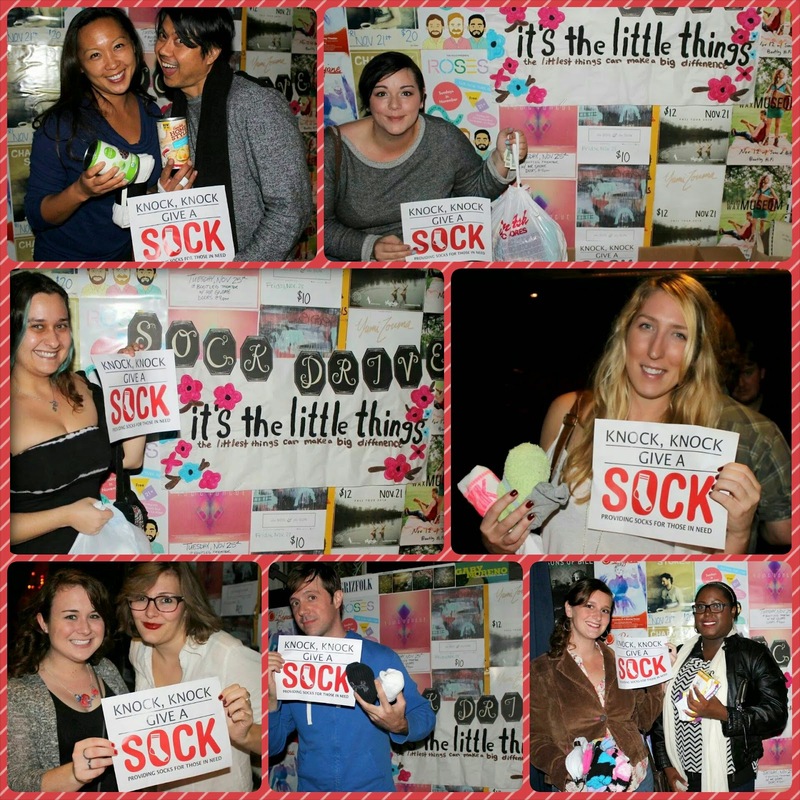 Half of The Janks and me with our box of socks at the end of the night! Two of the most supportive ladies in town. Check our instagram to see the extra gift that Kelly (right) brought that night! The Janks and friends in our silliest photo of the night, by far. Rhi, local artist and crafter, pulled out all her lonely socks! And now... the FINAL SOCK COUNT! 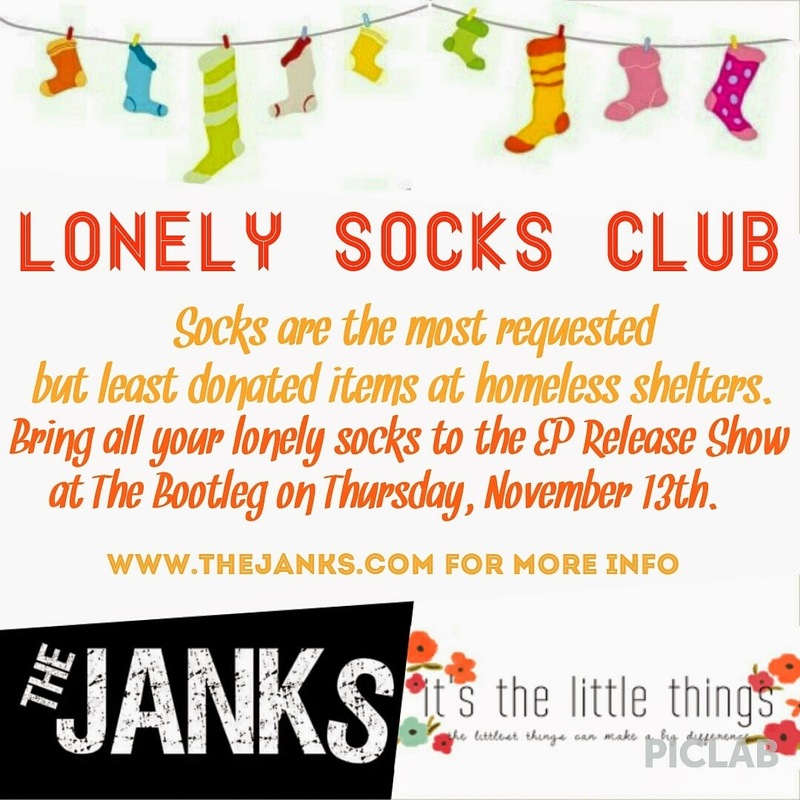 In addition to The Janks show, I shared news of this sock drive at both of my schools. The college, which is not a four-year university, doesn't have dorm rooms we can knock on, but I did share with our Inter-club Council. After a week, the (heart shaped) basket in my office is already overflowing with sock donations. (Thank you, Psychology Club!) Just one day after I shared with the faculty at the elementary charter school I teach at, one of the teacher's sought me out to share that she was able to secure a donation and sponsorship from a local shoe store. AMAZING! We will definitely be posting more photos soon on our facebook page -- check it out! So what do you think? Will you be collecting lonely socks soon this season?